Eureka! Beginning in the Fall of 2018, Archie’s Math will be available to visit schools, youth groups, STEM Fairs and Math nights in the Lancaster, Lebanon, York and Harrisburg region. 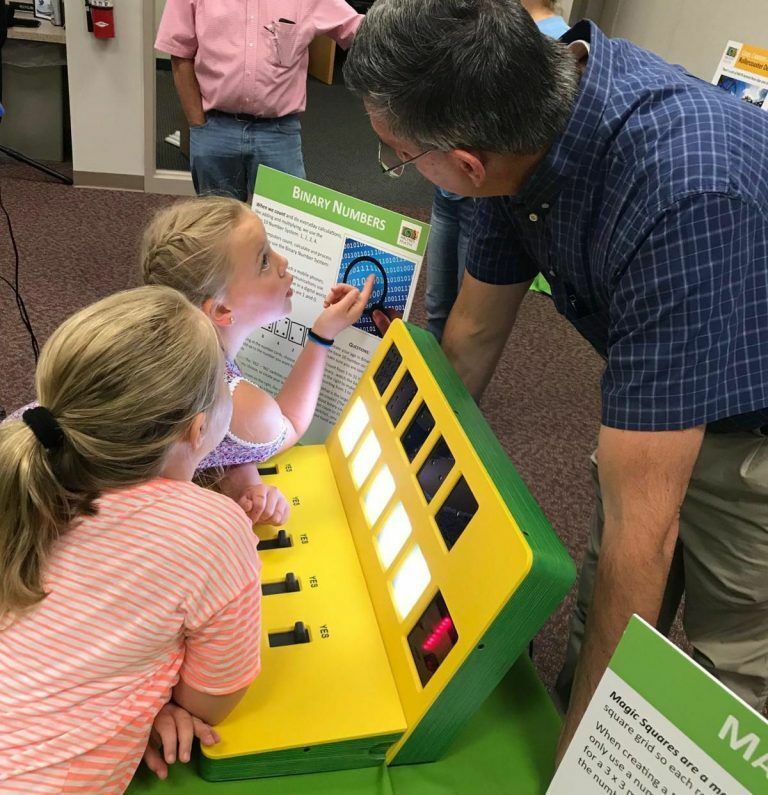 The Archie’s Math exhibits are divided into three groups: Primary math concepts for grades K – 2; Elementary geometry for grades 3 – 6; and Elementary Concepts for grades 3 – 6. To help you plan your event, this chart lists exhibit groups, pricing for half-day and full-day programs, and staffing responsibilities for schools. 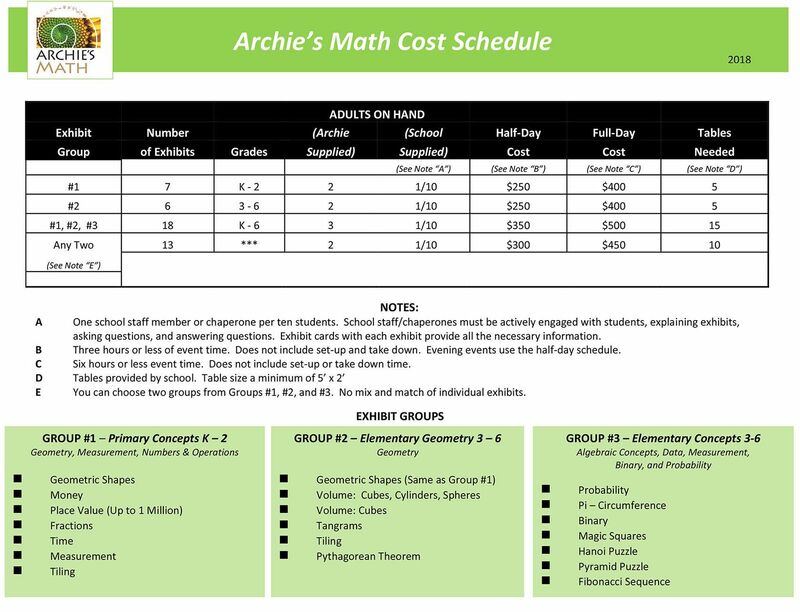 If you have any questions, or would like us to help you plan your Archie’s Math event, just ask.